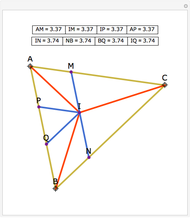 Let ABC be a triangle and let I be the intersection of the angle bisectors. 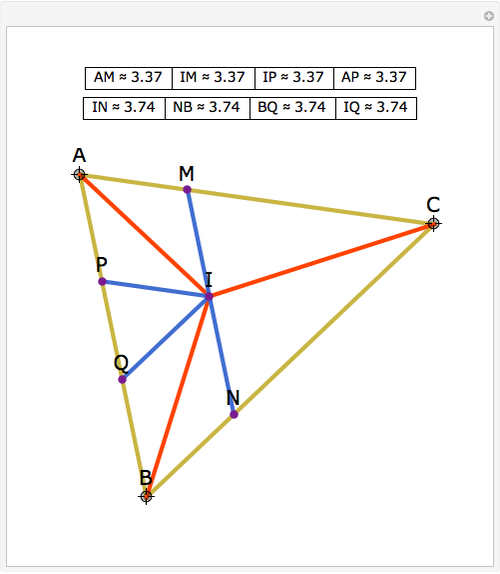 Let MN be parallel to AB and through I, with M on CA and N on BC. 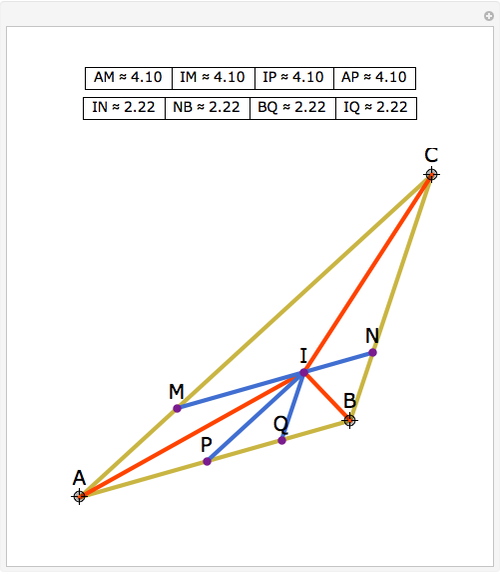 Let P and Q be points on AB such that IP and IQ are parallel to CA and BC, respectively. 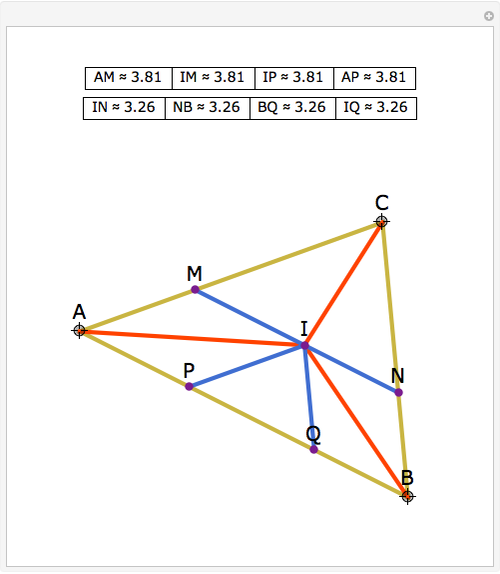 Then AMIP and IQNB are rhombi. 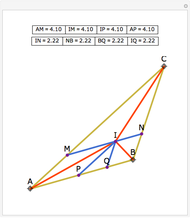 See problem 5.44 in V. Prasolov, Problems in Plane and Solid Geometry, Vol. 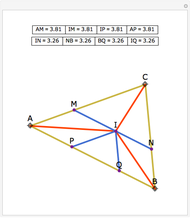 1,Plane Geometry [PDF], (D. Leites, ed. and trans.). Jay Warendorff "Rhombi at the Incenter of a Triangle"